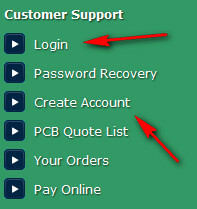 If you are a new customer, you need to register on our website to open account. If you have account already, please log in now. 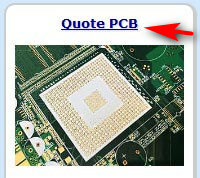 After you log in your account, from website homepage main window, find and click Build PCB Fabrication Quote. Go to the last step to generate my company official quote. The quote will be shown on our website, the quote copy will be sent to your email box at same time. When you need to place the order, click "Order Now" link at the bottom of the quote to pay online. For getting PCB Fabrication quotes, please click here.